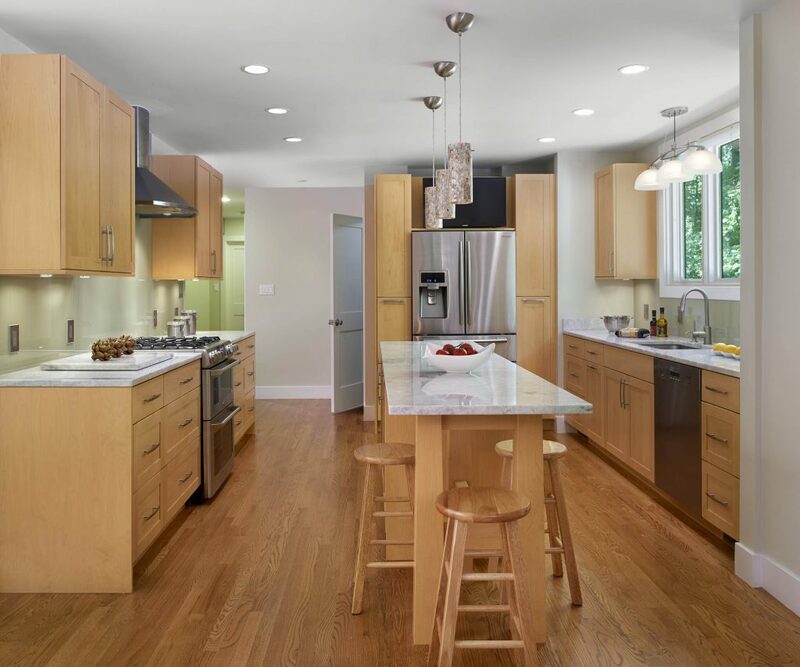 Natural maple cabinetry—and the clients’ love for the Arts and Crafts tradition—helped define this efficient kitchen remodel. 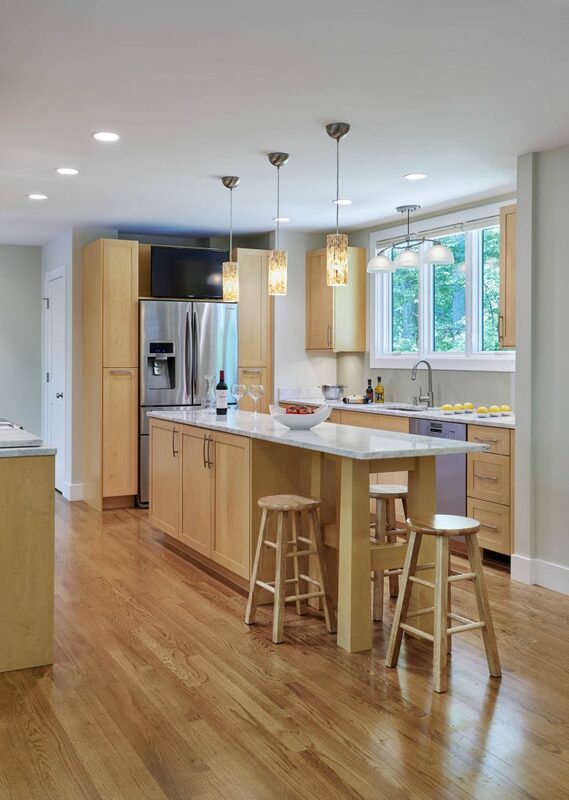 A glass backsplash—in ever-so-pale celadon—introduces an easy-to-maintain reflective surface and pulls out the quartzite counter’s gray-green veining. 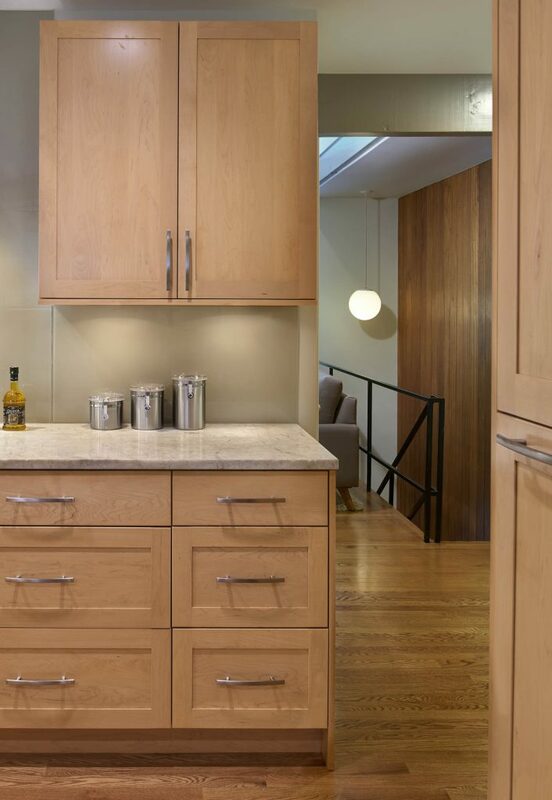 Natural quartzite counters top the perimeter wood cabinetry and generous working island. 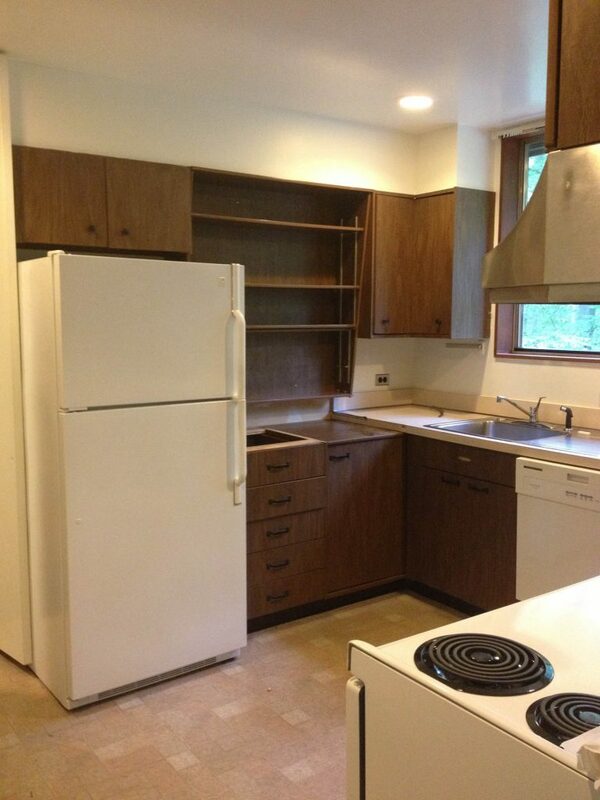 Stainless appliances and fixtures throughout help unify the clean, cohesive design.